Critica Retro agrees with many critics that Jean Renoir’s The Rules of the Game deserves its high place on greatest films of all time lists. Portraits by Jenni still hasn’t caught up with James Cameron’s Titanic but is happy to recommend other classic films about the ill-fated voyage. A first full viewing of 2001: A Space Odyssey leaves The Midnite Drive-In eager to see it again on a big screen. Lots more to come tomorrow! Thanks for hosting and so glad I finally watched this one. 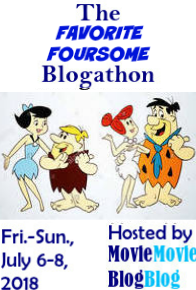 I think you need to hold this Blogathon more often…so many more for me to see. Hi Debra… Unfortunately, life has conspired to keep me from completing my review this weekend. It will probably be done this week, but not in time for the blogathon. Sorry about the late notice! That’s O.K.–I had to cut one of my own planned posts for the blogathon. Thanks for letting me know.